Econometrics (ISSN 2225-1146) is an international, peer-reviewed open access journal on econometric modelling and forecasting, as well as new advances in econometrics theory. It publishes reviews, regular research papers, and communications; there is no restriction on the length of papers. Our aim is to encourage scientists to publish their experimental and theoretical research in as much detail as possible. For experimental papers, full experimental details must be provided in the paper so that the results can be reproduced. Additionally, data sets must be deposited and published along with the paper as supplementary materials in any meaningful format (preferred are CSV files or tabulated data, alternatively data files that can be used by common econometrics or statistics software, such as STATA, EVIEWS, MATLAB and R). Where a data set is subject to copyright, agreement must be sought with the Editor-in-Chief as to the best means of ensuring the replicability of the results. Additionally, electronic files or programs to enable replication of the reported results (and enable confirmation of the associated calculations and experimental procedure, etc. should also be deposited along with the publication as supplementary material). 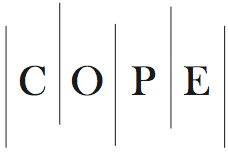 Econometrics is a member of the Committee on Publication Ethics (COPE). MDPI takes the responsibility to enforce a rigorous peer-review together with strict ethical policies and standards to ensure to add high quality scientific works to the field of scholarly publication. Unfortunately, cases of plagiarism, data falsification, inappropriate authorship credit, and the like, do arise. MDPI takes such publishing ethics issues very seriously and our editors are trained to proceed in such cases with a zero tolerance policy. To verify the originality of content submitted to our journals, we use iThenticate to check submissions against previous publications. MDPI works with Publons to provide reviewers with credit for their work.